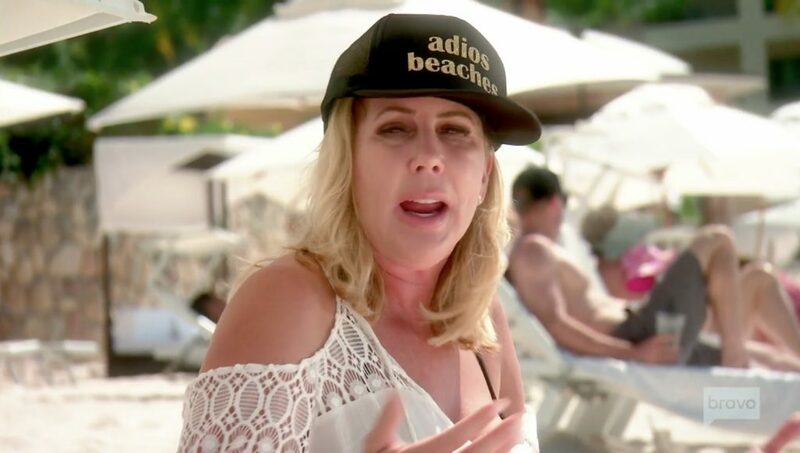 Even though Vicki Gunvalson is in a happy relationship with Steve Lodge, Real Housewives of Orange County viewers will never forget her scandalous relationship with Brooks Ayers. Even before that infamous cancer scam, the fans and Vicki’s costars were very turned off by him. The guy was just a total user. Vicki even bought him new teeth. Sure, Brooks brought some iconic story lines to this show, but it was definitely at Vicki’s expense. Unfortunately for her, that relationship is something she will always be associated with. In an interview with Too Fab, Vicki said that the Brooks cancer scam haunts her “daily.” She admitted, “That is something that I’ve had to recover from.” And so have the viewers. To this day there still so many unanswered questions about Vicki’s involvement in this scandal. Vicki blamed everyone else for bringing this story line to a show that she willingly appears on (and gets paid to be a part of). She said, “I feel like the truth always prevails. I can’t change what the network did and what Bravo did and what the evolution of my production company wanted to film because I kept saying, ‘Stop talking about it.’ The girls were talking about it — ‘Stop talking about it.’ I couldn’t get the train to stop rolling.” Right. It’s the network’s fault that Brooks faked cancer documents…. Get ready for this one: she actually spoke to Andy Cohen and “flew out to New York several times” to talk to him and other showrunners to convey her issues with this story line. She told TooFab that she was essentially told,”We’re following the reality of what the girls are feeling.” Well, yes. This is a reality TV show, after all. What was she expecting? TELL US- WILL VICKI ALWAYS BE ASSOCIATED WITH THE BROOKS CANCER SCANDAL? WHAT DO YOU THINK ABOUT VICKI’S TAKE ON THE SITUATION?